What to say about Tristan and Isolde that hasn’t been said? 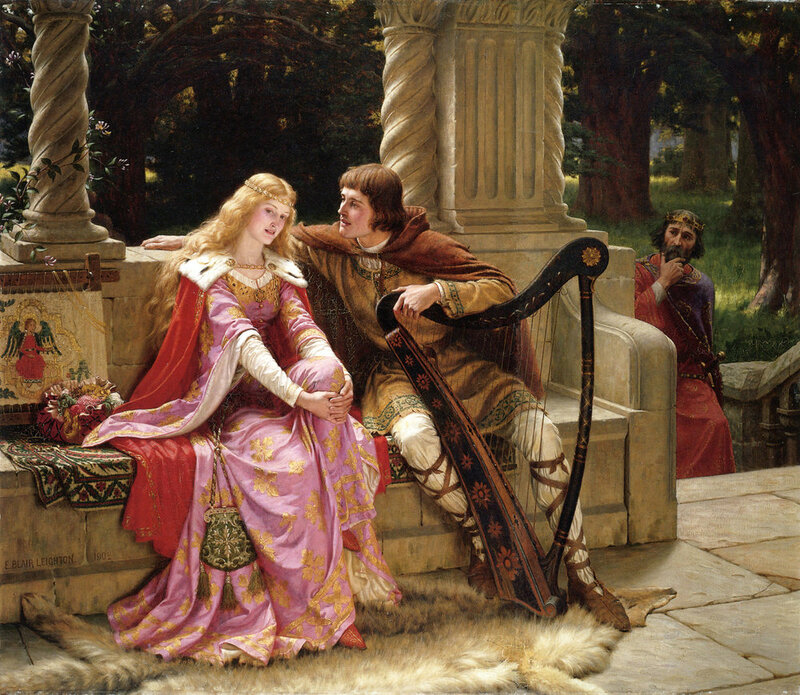 Next to the Arthur-Guinevere-Lancelot love triangle, Tristan and Isolde’s love story is one of the most well known and tragic of Arthurian Legend. It doesn’t help that in the convoluted history of these two star-crossed lovers that there are two Isoldes in the story—Isolde of Ireland (Iseult the Fair) and Isolde of Brittany (Iseult of the White Hands), not counting Iseult of Ireland’s mother, Queen Iseult the Elder. So many Iseults/Isoldes in Arthur’s time, but nearly none in modern day. I simplified the genealogy of these characters compared to their historical & mythological roots. King Mark of Cornwall, Isolde’s uncle, became Colonel Cornwall Marks, Isolde’s father, and she has one brother (an offstage character who only factors into the first novel). Her history lives in that of her immediate family and is less convoluted than Arthur’s lineage. For Tristan (now T. S.), I wanted a character different from Isolde. He is much older (she is half his age when they meet); he is more experienced in many things (an adventurer, a writer, and a minor celebrity where she is none of these things), he has a different background (he is from the South and part Cherokee, which influences both his external and internal self differently; she is from above the Mason-Dixon line, possibly DC). Despite their large differences, there’s an initial attraction between the two that evolves between the pages and years of the story and continues throughout Matrix Trigger. The intent of my version is to not replicate Arthurian Legends faithfully, if that’s even possible. The legends have evolved and merged with other stories over the centuries it becomes an effort that would bear a story with so much historical weight and self-contradiction that no one would want to read it. Instead, I’ve focused and chosen the pieces of legend that transcend time and technology to hold two star-crossed lovers through the moment of their lives in such a way you can see that, though imperfect they may be as people, they are perfect for one another. Most of the ‘magic’ of legend involves Merlin, Morgan Le Fay, the Lady of the Lake and a smattering of ensorcellment, but I’ve elevated the ‘magic’ to ‘technology’ and something that distinguishes what it means to be a knight vs. a not-a-knight. In such context and the changes in moral and modern sensibilities has follow-on effects in the dynamic between Tristan and Isolde. You might like this change. If not, I’ll leave you with some visual influences for the look of these characters. And if you like this, check out the book! Tristram (Pierce Brosnan) - Image found on the Internet with no attribution. Isolde (Kristen Bell) - Image found on the Internet with no attribution.